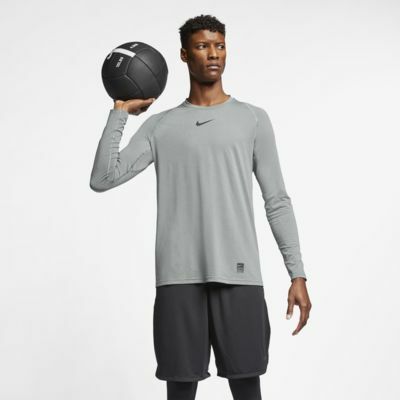 Designed as a base layer or performance layer, the Nike Pro Top features lightweight, sweat-wicking fabric with four-way stretch to help keep you dry and comfortable through your workout or on Gameday. 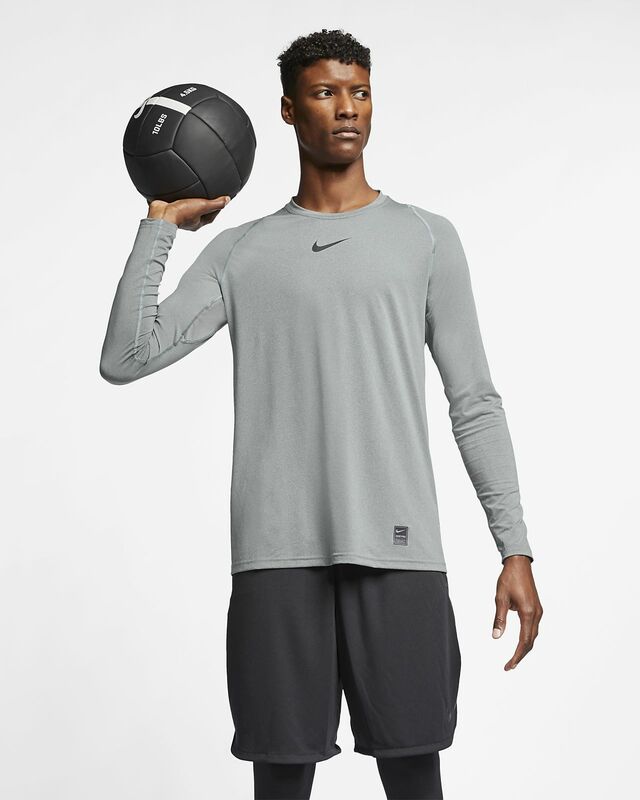 Nike Dri-FIT technology helps you stay dry, comfortable and focused. Mesh underarm panels help keep you cool. Lightweight, stretchy fabric lets you move freely. Flat seams feel smooth against your skin. The shirt is awesome but having a man with tattoos and a hairy chest white is the worst color. Exchanged for black.